You’d think that an in-home printing press would be an unspeakable luxury for this day and age, but you wouldn’t be entirely correct. The Blick Complete 11in Baby Printing Press, created and solid by namesake Blink, brings a new kind of creative ability into your home. Built in Italy, this press can print on wood and fabrics of all kinds. It excels at embossing, engraving, and etching, among other things. This Blick Baby Printing Press review intends to explore the abilities of this printing press to their fullest and help you determine whether or not it’s the best heat press for you to bring into your home. Still, in some cases, you may see the terms “printing press” and “heat press” used interchangeably. Not so here – and there are pros and cons to that difference that this review will happily discuss. Dimensions: 13.25 inches x 11.75 inches. While there aren’t too many extra goodies coming along with your Complete Baby Printing Press, it still includes a number of features that are worth noting. The cast-iron structure of the printing press will support a number of projects for a considerable amount of time – and through a considerable amount of use. Blick assures its potential customers that not only can the printing press handle sturdy paper and fabric, but that it can be used for etching, blocking, and mono-printing. This programmed versatility ensures that you can get as much use out of the Complete Baby Printing Press as you desire. The rollers included as part of the press are 10.75 inches wide, made to cover a bed that is 11.75 inches wide by 19.75 inches long. Print sizes, in light of these dimensions, max out at 9.5 inches wide by 18 inches long, allowing you considerable room to work with when transferring the design of your choice onto a variety of workable materials. While you may initially imagine using this printing press to make custom shirts – an entirely viable option – you’ll also have the opportunity to etch designs onto wood or to mono-print your artwork onto thick pieces of canvas. The pusher blanket and cushion that come along with the Complete Baby Printing Press are meant to keep the products you’re printing safe. These included features reduce the amount of strain that the top roller of the press experiences, thereby allowing the whole of the Complete Baby Printing Press to last through more projects. This also allows for the projects that you make to come out as professionally as possible. This printing press allows you to ensure that your prints are precise with the macro and micro pressure controls. With these, you can make sure that each project is getting just the right amount of pressure it needs. What is the difference between a printing press and a heat press? Before we get started with the review, we want to consider this question. The Complete Baby Printing Press and your average heat press can both work on a variety of materials, transferring the design of your choice onto any number of household items. Both of these products can be used by small business owners or by at-home creative types. In this case, the Complete Baby Printing Press presses your designs through the use of rollers, negating the need for excessive wattage and Teflon paper, while also making the press reasonably similar to your standard screen printer. Not only does this lack of heat make the Complete Baby Printing Press a little safer for beginning crafters to use, but it ensures that your chosen material is unlikely to be damaged by exposure to excessive heat. The Blick Complete 11in Baby Printing Press works somewhat similarly to a screen printer by exposing ink or paint to the material of your choice. Unlike a screen printer, though, this printing press does just as the name suggests. It presses your design onto the material and holds it there, while also using its rollers to ensure that the whole of the design makes it crisply and cleanly onto your project. Blick is the perfect sort of company for all types of artists looking to find the products they need at reasonable costs. The company strives to match the budget of its potential consumers and provides all sorts of goods, including screen printers and heat presses as well as paints, markers, sketchbooks, and canvases. The company has international reach and a high functioning website, meaning that artists from all around the world can order their supplies from Blick without a problem. The rollers on the press turn out professional-quality products, making this a great buy for hobbyists and small business owners alike. If you are looking to use the Complete Baby Printing Press as part of your small business, you’ll be able to make one of a kind, individualized products for your clients. If you’re interested in keeping your DIY at home, you’ll be able to delight friends and family alike with unique and homemade printings that they can keep with them. This is also great for the ultimate gift-giver, as this printing press will make it easy to create personalized presents for your friends, loved ones, and colleagues. You can also spread your crafting wings and try new things with the Complete Baby Printing Press. The device can work with a great variety of materials and is straightforward to use. No matter how new to printing you are, you’ll be able to work with this press’ rollers in order to complete any project you set your mind to. Even if you have a bit of difficulty, you’ll be able to reference Blick’s website and customer service center in order to get a better idea of how to work with the printing press. The sizing options available with the press add to the diversity of work you can do with it. Sizing, as has been mentioned, maxes out at 9.5 inches in width and 18 inches in length, making the press ideal for smaller shirts as well as average-sized craft paper or wooden boards. While it may not be the largest printing press currently available, it offers great versatility for its size and makes itself an ideal companion for folks looking to create smaller, personalized projects. You won’t have to worry about this printing press falling apart on you after little use. Even with regular usage, this press is designed to stand up to whatever you throw its way. While the size is convenient, its weight ensures it won’t be easily knocked over, and will stay stable while you work on it. The castings are heavy-duty while the metal on this design will stand up to wear and tear and with some care will stand up against rust and damage. The rollers are made of solid steel, adding to the overall sturdiness of this machine. A durable machine is especially important for professional crafters who rely on their device, and now you know the Blick Baby Printing Press won’t let you down. No need to fumble around for hours trying to get your printing press set up. Customers noted that the Complete Baby Printing Press was a breeze to put together with a lot of its parts already in place. This is great news for those just starting in the craft. 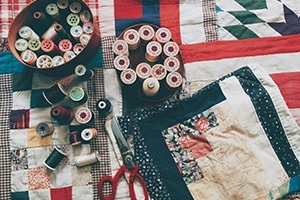 You won’t be off-put by a challenging machine before you even get started on crafting. A machine that’s easy to set up usually means that it’s easy to maintain and clean as well! Unfortunately, there’s not a lot of information out in the world about the Complete Baby Printing Press. While there are a few reviews on the Blink website and on Amazon, it seems as though the printing press is still waiting to make its proper impact on the artistic community. This doesn’t mean that the device doesn’t create quality products, but rather that it’s directed at a particularly specialized group of artists. It may be difficult to find more detailed information on it outside of generalized spheres, so if you have any questions or run into roadblocks with its use, you’re somewhat on your own. The printing press is rather expensive for its size. While the press will no doubt help artists create exciting and well-done prints, it still costs a pretty large chunk of cash, depending on where you buy it from. If you’re looking for a press that’s a tad bit bigger than this 11-inch press, or if you’re on a strict budget when it comes to your artistic tools, you may want to keep shopping. This machine is durable but it might be a little heavy for some. If you’re setting this up in your home or studio, always ensure that you’re placing your devices on a sturdy platform. The weight of this machine isn’t the biggest thing to be alarmed about, and can still be a portable machine if you don’t mind a bit of extra weight when taking it around. Generally speaking, the Complete Baby Printing Press is a quality machine that attends to a specialized audience. While it may be too expensive for some pocketbooks, it still serves as an excellent accessory to any studio or small business. Blick has a wide variety of artistic and creative supplies available to pull at the heartstrings of crafters. This printing press is just one example of the wide variety of products produced by this art centred company. Customers have been noting their satisfaction with Blick products, allowing this brand to further grow online. Even as their items grow in popularity, products like the Complete Baby Printing Press may be hard to come by both in-store and online. It’s usually best to check crafting, printing, or specialty stores, but with this on, you’ll be better off checking Amazon. That’s it for our Blick Baby Printing Press review. Tempted to give this device a try? The Complete Baby Printing Press is easy to use from the start and a perfect starting point for beginner crafters. It can tackle a variety of projects and does it well while appealing to both professionals and artists alike.